I hope you had a fantastic Christmas Holiday? I surely enjoyed every minute and can’t believe it is already over yet… Isn’t Christmas always passing by way too quickly? I was so blessed to spend the days together with my family, which made Christmas even more special for me especially because I don’t see them on a daily basis. I actually intended to take a few days off of everything internet-related to enjoy time with my family and friends but also to find some quite time for myself. Somehow I was doing way too much during the last two month and I can really need a break… but somehow I cannot stop thinking about recipes and surfing the net and reading blogs 😛 That’s when I stumbled upon a few blogs presenting their top 10 favorite recipes of 2013. This idea is just too much fun to let it pass by and I immediately went to my own statistics to see which recipes where the most visited ones… I was honestly surprised by the outcome that’s why I have decided to share not only the Top 5 of most clicked recipes, but also my personal favorite recipes from 2013 😀 I hope you will like it as much as I do! So lay back and have a look around. Do you agree with the Top 5 or do you have different favorite posts? 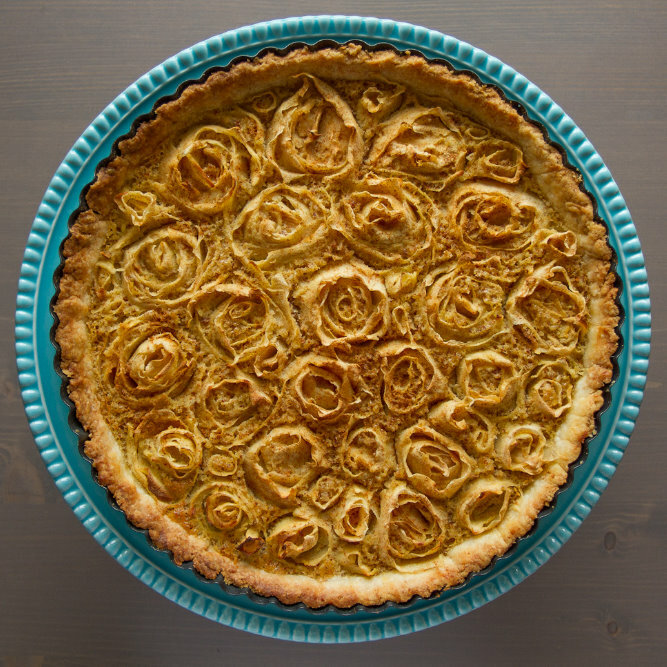 Number 5 this year is this lovely Apple Rose Tart. I am actually really happy with this choice: The cake was delicious and looked really stunning! It was quite a lot of work though but not difficult at all. It made quite an impression on my parents when they came visiting 😉 What I like most, beside the fact that it is an apple cake and I adore apples, is that this cake has both: the look and the taste. 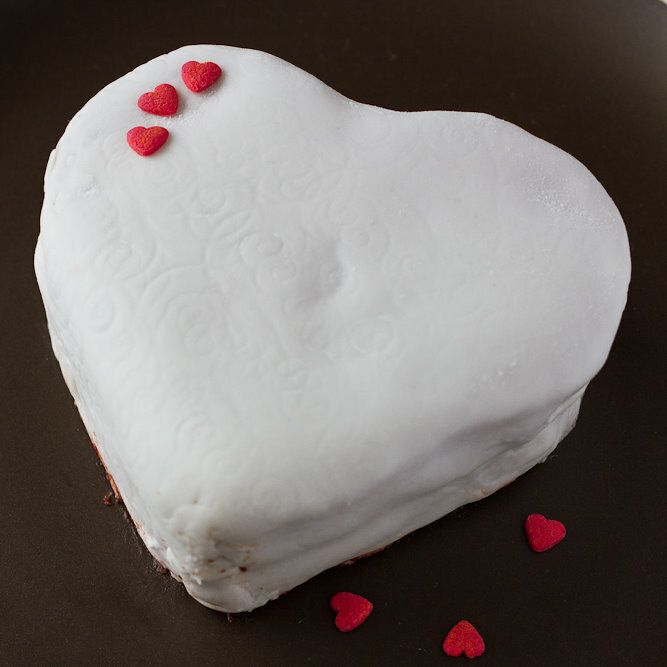 You know often you have layered cakes decorated with tons of marzipan and fondant that look amazing but the taste is either boring or too overpowered by all the sugar. In my opinion a cake can be stunning looking without all these fancy extras. 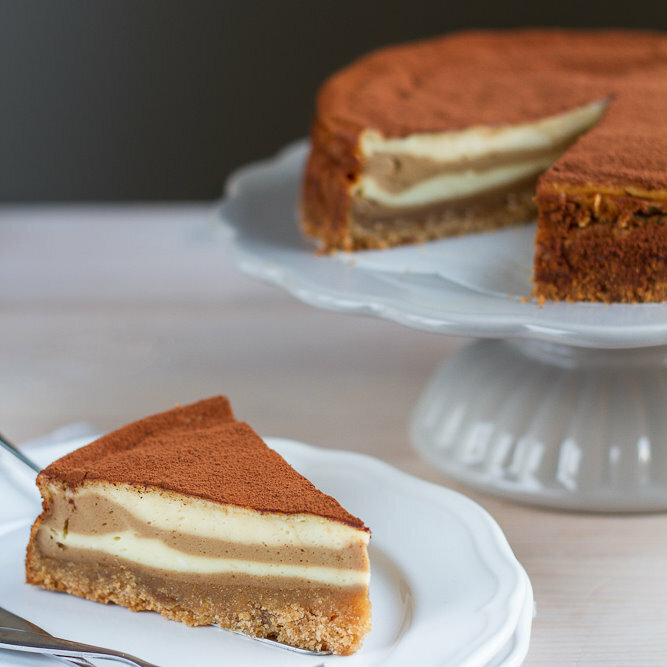 How can I not agree with my winning Philadelphia Tiramisu Cheesecake as your number 3? Philadelphia was looking for the best Philadelphia cakes for their Tortenstar competition and I decided to take part. Therefore I created this layered Cheesecake with a Tiramisu flavor 🙂 I baked it several times and every time it was a hit! I am still very thankful to all the people to helped me ending on the 5th place! I am actually right now enjoying a hot chocolate made with my Tassimo Coffee Machine that I won in that competition 😀 Thanks a lot! Living in Switzerland and baking for Swiss people: an Ov(om)altine Cake seemed obvious right? You agreed with it because this is the second most visited post on my website! Both the layered cake and the cupcakes were super delicious, especially when you like the malty flavor of the ov(om)altine you will love this recipe! It is also one of the few recipes I am actually really proud of. I think I need to re-bake this one once again. 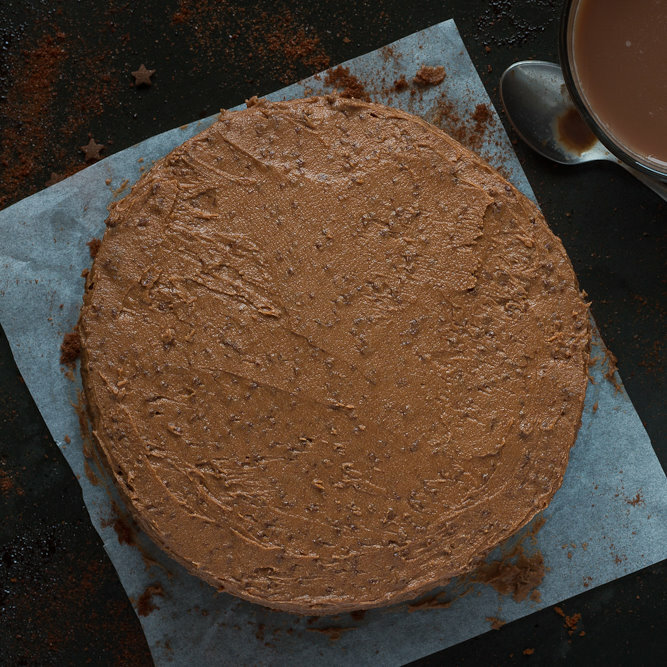 . .
As I mentioned earlier I was quite surprised to see my most clicked recipes of this year. 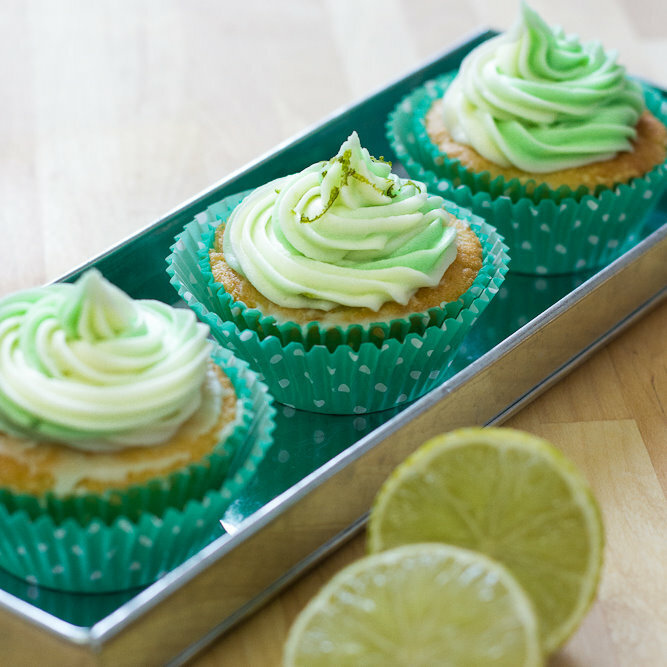 By that I mostly meant the number 1: Cucumber and Lime Cupcakes. Seriously, I didn’t expect this recipe to be so high on the list. It was intended purely as an experiment as I was curious if there are more vegetables out there that are bake-able like courgette or carrots. I liked the freshness of the cupcakes but I will be completely honest, they are not my favorite! I am actually thinking of improving this recipe and to give it a new look. I would definitely use a food processor to make a really smooth cucumber jam and I would also like to change the topping from super sweet to something a bit more healthy? Just thinking. . . I also wanted to present to you our Top 10 recipes of this year 2013. 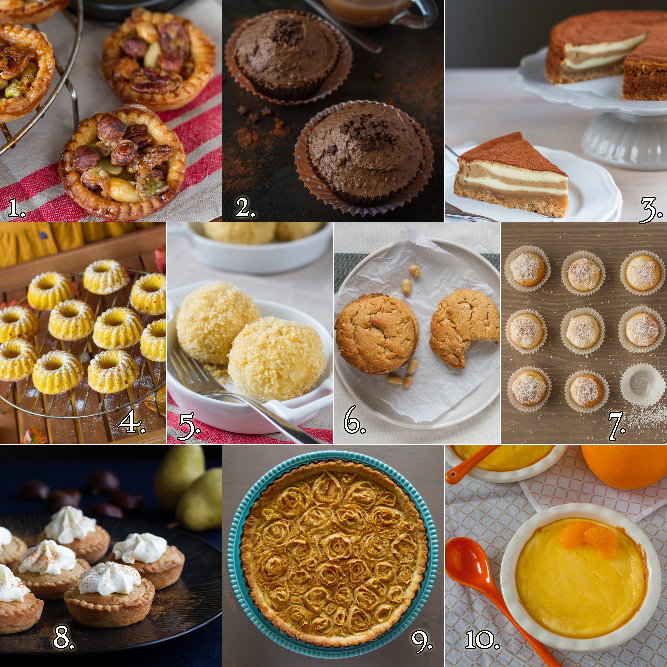 Some of them might not look as much, but are actually super tasty 😉 I first wanted to share my Top 5 with you, but my boyfriend disagreed in many points, so I combined our Top 5 and made our Top 10 recipes for you (he loves the mandarin curd cheesecake whereas I loved the little coconut treats).